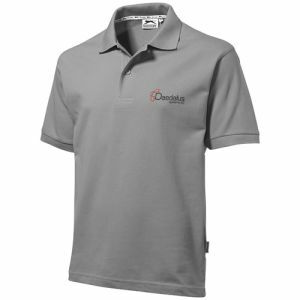 Corporate printed polo shirts are probably the most popular, most used item of promotional workwear on the planet today. Designed to be more hard-wearing than traditional formal shirts, they are available in a host of colours and suitable for a range of budgets. 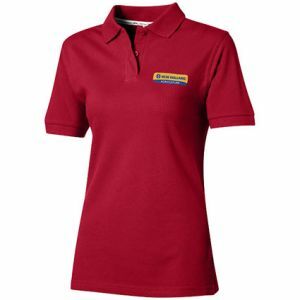 From low-cost branded polo shirts ideal for promotional giveaways or event mementos, to heavyweight cotton versions more suited for regular use and work uniform. 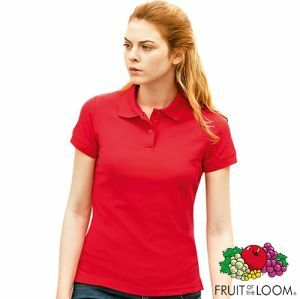 Choose from a range of brand names including Fruit of the Loom Polo Shirts, Slazenger Polo Shirts and Gildan Polo Shirts to create the ideal look for your event, exhibition or workplace. Advertising on printed polo shirts is a sure way to get your message across and can enhance the image of your business and workforce. Take a look around you and you will see people quite happily promoting a brand or product on their clothes without realising that they are an advertising vehicle for the advertiser. In most cases, these people have paid extra for the privilege. So branded polo shirts with your company logo could definitely give you the edge on how you present your staff to public and daily contacts. 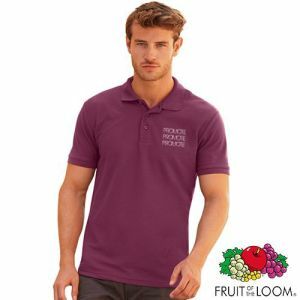 Fruit of the Loom Polo Shirts are our most popular, tried and tested customer favourites. Their extensive colour range and simple, universally appealing design allow them to lend easily to any business. They can even be personalised with your logo from as little as 10 units to cater to small businesses. As well as the unisex (men's cut) of these custom polo shirts, we can also supply a more fitted lady's polo shirt that is more flattering and tapered. If you want a lady’s fit in a particular design, please contact us and we’ll do our best to provide it for you. We can usually source most promotional clothing brands to personalise with your logo from a minimum of 10-25 units each depending on the design. With all of our business custom polo shirts, you can even split your total order quantity between as many different sizes as you require. The shirts are generally a cotton/polyester mix which makes them durable and suitable for washing at higher temperatures. This, in turn, also gives them and your logo greater longevity. Embroidering your branded polo shirt with your logo could also extend the life of your investment even further, with a high quality finish. 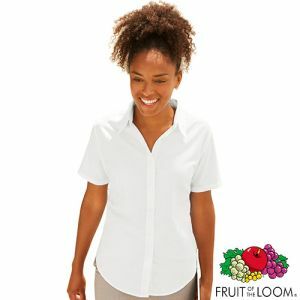 It's clear to see why they make long-lasting, value corporate clothing for restaurants, cafés, coffee shops, garden centres and more. 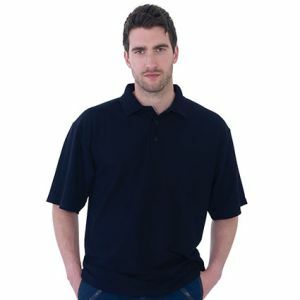 The endurance, the ease of cleaning, as well as professional look also make our custom polo shirts the natural choice for tradesmen's workwear, sports club uniforms and more. 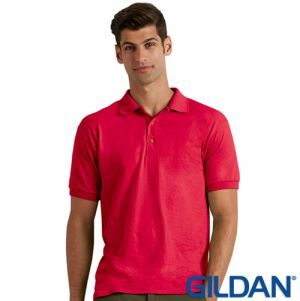 They’re for any business looking to take advantage of the practicality and higher-end look that polo shirts can convey. Our promotional polo shirts come in a range of colours, which combined with your embroidered logo can perfectly match your company's brand. 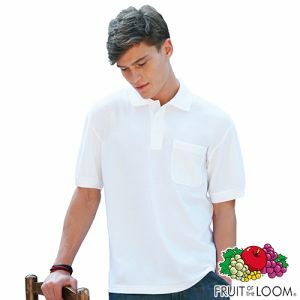 With ribbed collars and cuffs, as well as buttoned placket, corporate personalised polo shirts give a more businesslike impression than regular t-shirts or other kinds of non-branded workwear. Take a look at our range of printed polo shirts to find the perfect look for your staff or customers. We can provide you with a rapid quote and express delivery options so you receive your shirts in good time for your requirements.